I'm a hard girl to please when it comes to Thai food - I want it just like Chef Ped used to make, like I enjoyed in Chiang Mai, and like I cook. As mentioned previously on the blog, when I dine at a new Thai restaurant I first try three dishes if available: Tom Yum Gai, Pad Prik Khing, and Green Curry. Dara didn't offer Pad Prik Khing, but they did have Laap/Larb. 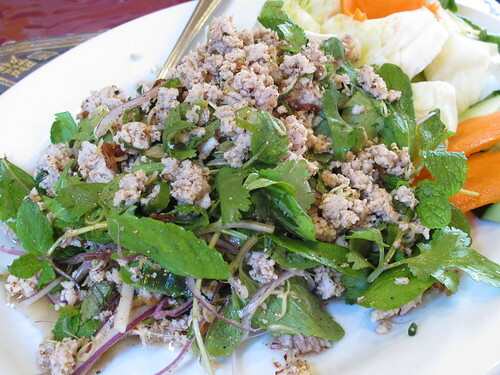 Larb is pretty much a staple on a Thai menu. I've had some pretty poor approximations of real Thai Larb so usually I don't order it (it was the first Thai recipe I learned how to cook). I was craving it the other night so took the plunge. Of all the dishes I sampled, this was my favorite. Unfortunately as the first dish, it set a high bar for the rest of the meal. The spices were delicate without being overwhelmingly hot. cubes had the other memorable dish - the quail. The meat was tender and flavorful. 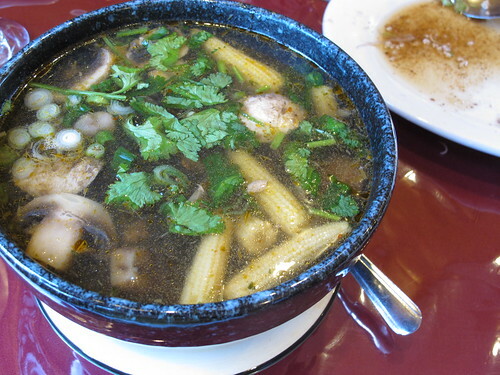 I was planning on having the Tom Yum Gai for my main. However it failed to deliver. The base broth was ok, it lacked Galanga and was light on chili oil. I decided that I'd add some more chili oil to the soup, as well as some Galanga, when I got the soup home. 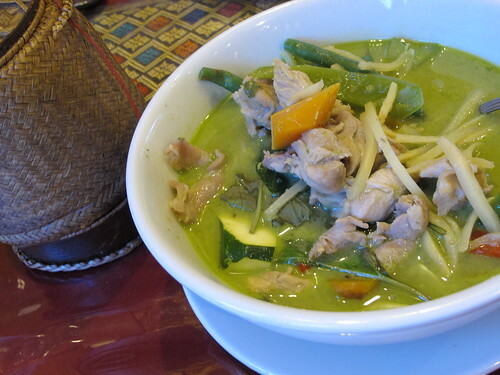 After the soup was packaged for take out, I tried the Green Curry. They got the spice right, but the consistency was runny. I don't thin my curries with broth; I just blend the curry paste into coconut milk. So this also got packed up so that I could thicken it at home. One thing that disappointed me was that they only used dark meat in the curry. 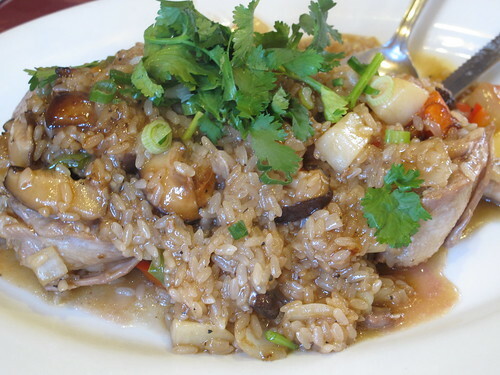 I don't mind a mix of white and dark chicken meat - something that's common at most Thai restaurants. Dara's only used dark meat in their curry which gave it a more gamey flavor than I prefer. I'd go back for the Larp, but would hesitate to try something else with chicken given my experience with the soup and curry. I'd also ask the server for suggestions as to their best dishes. Do you have test dishes for your favorite cuisines? 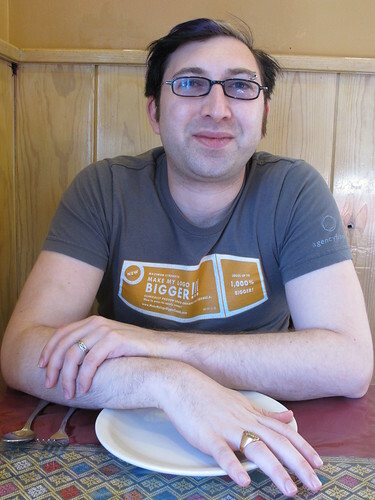 Do you give a restaurant a second chance?